Redpaw X-series™ Dog Food considers what a dog needs for its systems to operate as efficiently as nature intended. We look at food meticulously, on micro- and macronutrient levels. Then we’re able to select ingredients that deliver a specific profile of proteins, fats, carbohydrates, fibers, vitamins, minerals and more. In other words, all of our ingredients have been included for a purpose, and your dog will benefit fully from each and every one of them. Dog food trends may come and go, but we’ll remain committed to food for optimized nutrition. It’s a promise we’re proud of, and it’s something you can be proud to feed to your dog. 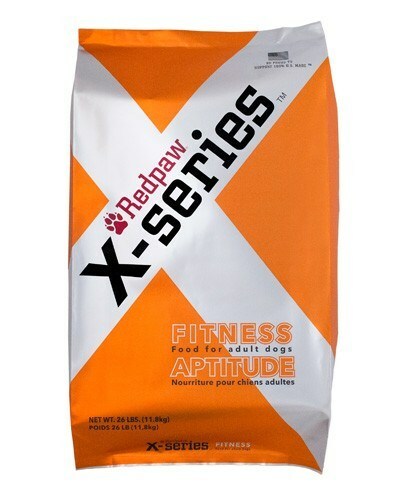 Redpaw X-Series Fitness for Dogs is formulated to meet the nutritional levels established by the AAFCO Dog Food Nutrient Profiles for Adult Dog Maintenance.